This is the place where the Greek gods played and it is incredible to explore and to see. Athens can boast of having the most famous archaeological monument in Europe – the Acropolis. It is one of the seven wonders of the modern world. Athens is located in the prefecture of Attica and stretches to the peninsula that goes up to Central Greece. This wondrous city is the capital of Greece and it is surrounded by the mountains Ymmytos, Pendell and Parnitha, to the north and to the east and the Saronic Gulf to the west and the south. It can boast of having one of the best climates in Europe and has mild winters and hot summers. At night Athens entertains people of all ages and is famous for its nightlife. The famous “bouzoukia” clubs know how to entertain and don’t forget to have some ouzo. At the Acropolis if you’ve got a vivid imagination you can meet some Greek gods. Acro means edge and polis means city. This is also called the “Sacred Rock” of Athens. 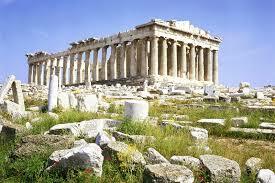 The Acropolis is the symbol of Athens. It was during Perikles’ Golden Age that Ancient Greek civilization was represented in an ideal way here and some of the architectural masterpieces of this period were erected upon this hill. The monumental entrances to the sacred area that was dedicated to Athena are the Propylaea. They were built by architect Mnesicles with Pentelic marble in an avant-garde design. To the south-west on a rampart protecting the main entrance is the Ionian Temple of Apteros Nike. 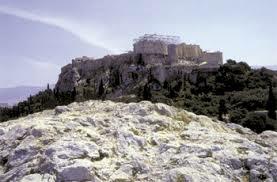 The Acropolis was first inhabited in the Neolithic period. As the years have gone by this rocky hill has been used as a place for cults or as a residential area. By the inscriptions on the numerous and precious offerings to the sanctuary of Athena including marble, coral, bronze and clay statuettes and vases it is known that the cult of the city’s patron goddess was established in the Archaic period – 650 – 480 B.C. 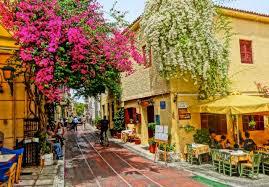 The main tourist attraction in Athens has become Plaka. It was built by the first construction workers who came from Anafi Cycladic Island and they built the first main buildings in Athens. In the 19th century the settlement of Anafiotika was created by migrants from Anafi and they built their homes on the steep slopes of the Acropolis in their traditional island style. It became a small village with white-washed houses and narrow paths. This village also has a tiny church that is dedicated to St. George. The marble that the church was constructed of was taken from an ancient temple. Syntagma in Greek means constitution. It is a square found right in front of the Parliament. The Parliament is housed in what was once the King’s Palace, constructed between 1836 and 1840 by King Otto and financed by his father, Ludwig I of Bavaria. This is the main square of Athens. It counts as the central point giving access to all of the major attractions especially “museum mile” stretching along Vassilissis Sophias Avenue beginning from Syntagma Square. On the west side at the bottom of the square is the start of Ermou Street, the main shopping district and it leads to Monastiraki Square. 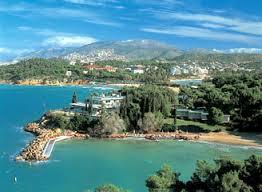 On the eastern edge of Athens some 20 km from the center is Vouliagmeni. This is a lovely and picturesque peninsula that is known for the famous lake with the mineral water spa and has an outstanding mild climate all throughout the year. 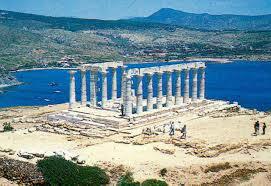 One of the most important sanctuaries in Attica is the sanctuary of Poseidon at Souinion. It was first mentioned in the Odyssey, as the place where Menelaos stopped during his return from Troy in order to bury his helmsman, Phrontes Onetorides. Here you can view the Poseidon Temple. 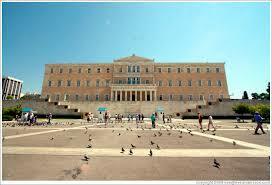 The most important archaeological museum in Greece is the National Archaeological Museum of Athens. It is one of the richest in the world when it comes to ancient Greek art. It displays collections that represent all of the cultures which flourished in Greece. The building of the museum began in 1866 and was completed in 1889. Additional wings were added to it – the north, south, west and east wings. The most important institution in Greece that is devoted to the subject of the history of Greek and Western European art is the National Art Gallery and Alexandros Soutzos Museum. It is a most impressive museum of paintings and engravings. There are several vantage points beside the Acropolis where you can get spectacular views of Athens. One of them is Lycabettus Hill made of limestone rock and reaching nearly 1,000 feet high. In the evening the top of this hill is floodlit. During the day you can visit the tiny, white church, Agios Georgios that sits atop of this green and white hill. If you are a real daredevil or up to spectacular challenges then you can attempt to climb this hill however it is advisable to take the two-minute funicular up to the top. The panorama that you see at the top is well worth it. You can see all the way to Mount Parnes in the north, Piraeus in the west, and the Saronic Gulf along with the Acropolis. If you like to sit and relax and take in the view there is a café/restaurant at the top. The largest building in Athens measures 111×98 m. The Roman Agora consists of a spacious rectangular courtyard that is surrounded by stoas (covered walkway or portico), shops and storerooms. 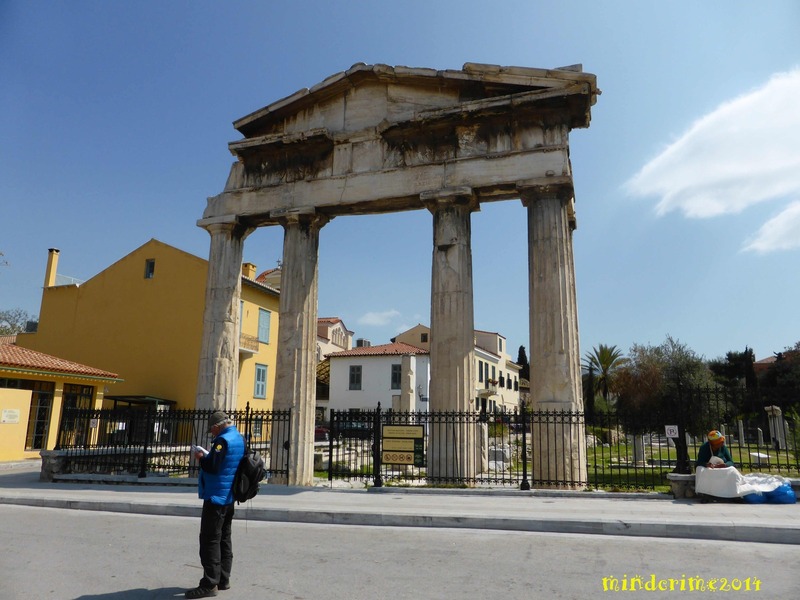 It has an east, Ionic propylon and a west, Doric propylon that is known as the Gate of Athena Achegetis. It was built between 19 and 11 B.C. After the Herculae invasion in 267 A.D. the city of Athens was restricted to the area in the Late Roman fortification wall and the administrative and commercial center of the city was moved from the Ancient Agora to the Roman Agora and the Library of Hadrian. This area was covered with houses, workshops and churches during the Byzantine period and the Turkish occupation. Northwest of the Acropolis you’ll find the Areios Pagos or the Hill of Ares or Curses. It was once the meeting place of the council of ancient Athens. At first it was a council of nobles and then a judiciary body that specialized in murder cases. This was also the place where Paul the Apostle preached when he came to Athens in 54 B.C. To the northeast side of this hill the ruins of a post-Byzantine three-aisled basilica dedicated to Saint Dionysius the Aeropagite were discovered. There is lots more to see in Athens so take a walk back into history and converse with the ancient Greek gods and goddesses upon the hills and at the Acropolis.